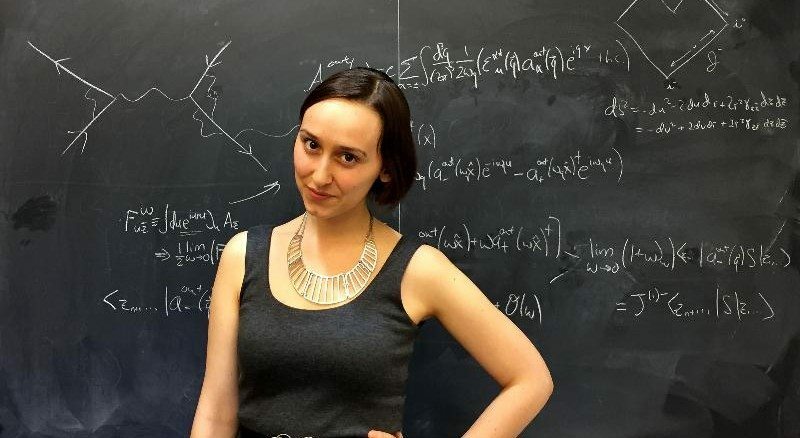 Home / Astronomy / Meet Sabrina Pasterski, The 24-Year-Old "Next Einstein"
Meet Sabrina Pasterski, The 24-Year-Old "Next Einstein"
At 24, Sabrina Pasterski has a standing job offer from NASA. Her research has been cited by Stephen Hawking, and it's been nearly a decade since she built her first plane engine. Kind of makes us wonder what we're doing with our lives. Sabrina Pasterski has her eye on the prize: the 24-year-old Harvard PhD student (and top MIT grad) has never had an alcoholic drink or a cigarette, and isn't on any form of social media, from Facebook to LinkedIn. She doesn't even own a smartphone. "I'd rather stay alert, and hopefully I'm known for what I do and not what I don't do," Pasterski told OZY. Right now, Pasterski is focused on grappling with physics problems that excite her, learning as much as she can from the rich resources she has access to. But with standing job offers from NASA and Blue Origin, Pasterski might eventually make a big impact on aircraft travel--specifically, space travel. Companies like Blue Origin and SpaceX are looking for bright young minds to shape the future of space exploration and push us into the next frontier. And Pasterski's potential is far from unnoticed: Forbes named her to their 30 under 30 All Star list. Still, Pasterski remains humble about her success. "I am just a grad student. I have so much to learn. I do not deserve the attention," she writes.